Make the most of juicy, tart red currants while they’re in season. 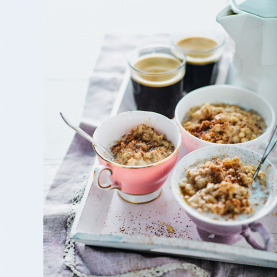 They work beautifully as a topper for this morning porridge, along with pumpkin and chia seeds. 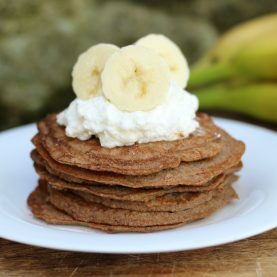 Weigh out the oats into a pan and pour over the coconut milk. 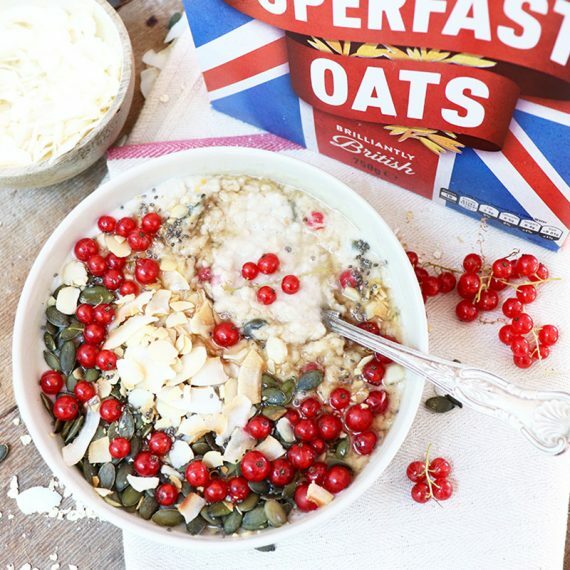 Add the pumpkin seeds and redcurrants then stir through the oats – for a creamier porridge leave to soak for 20 minutes before cooking. 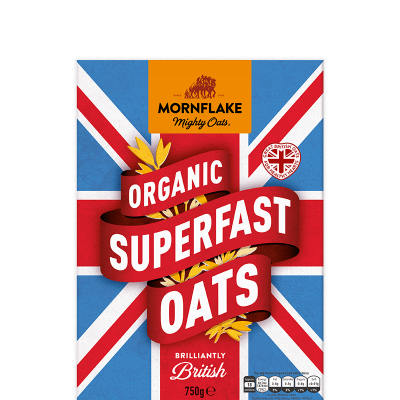 Gently heat the porridge, stirring regularly until the oats are soft and creamy. Spoon into a bowl then top with redcurrants, a scattering of pumpkin seeds, coconut chips and a small sprinkling of chia seeds.